On 11 April 2019 Szent István Universty celebrated the Hungarian National Poetry Day again. The event was organized by SZIU Media Centre, International Relations Centre and Young Artists of Gödöllő Association. 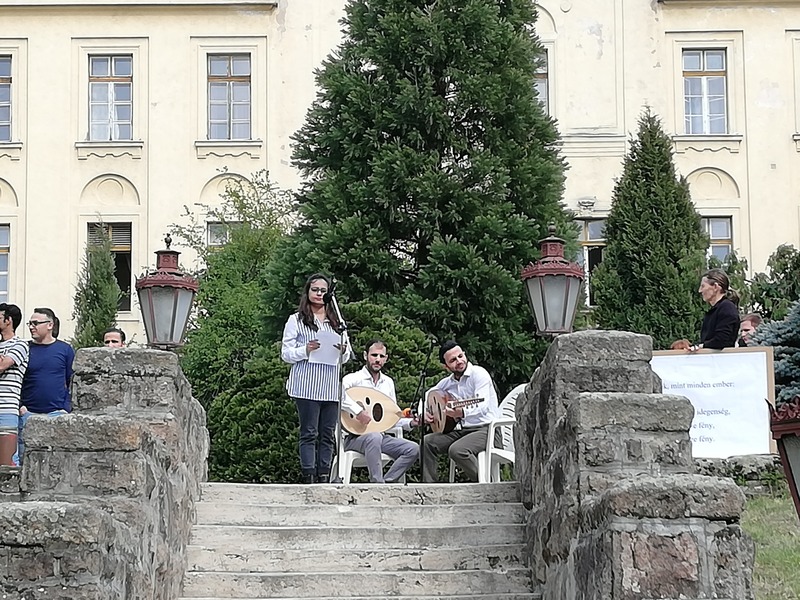 Reciting poems together in the garden of the main building has been a tradition at SZIU for years now. This year’s performance was special because in 2019 Hungary remembers the 100th year anniversary of the great Hungarian poet and journalist Endre Ady’s death (22 November 1877 – 27 January 1919). His life and work is still divisive a hundred years after his death, however, the artistic value of his revolutionary new poetry is beyond question. The major themes of his poems are centred around his love of Hungarian people, love of life, search for God, being lonely, exotic and unique, fighting for survival and fighting against rigid, old approaches and structures. His unconventional style is characterized by an extraordinary opening-up of his self and a messianic commitment to his mission to renew Hungarian poetry. His poems are often symbolic, over-ornamented and full of adjectives, enigmatic and mystical. A group of our international students joined the performance for the second time. 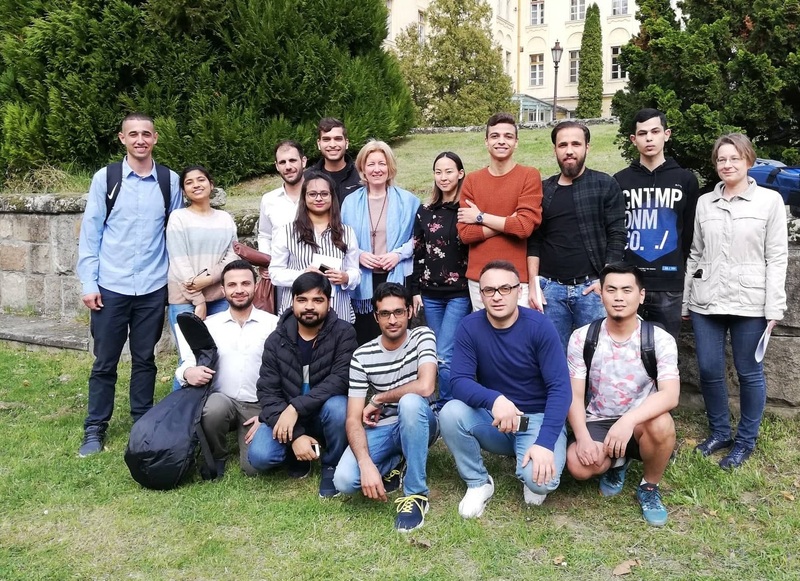 The performers currently study at Szent István University within the framework of Stipendium Hungaricum Scholarship Programme. The audience had a remarkable experience when they could listen to Endre Ady’s On New Waters first recited in Hungarian language by students from the Preparatory course in Hungarian language. The team members were Enkhzaya Lkhagvapurev and Erdenemunkh Telmuun from Mongolia, Karam Abualouf, Osama Aljazzar, Mohammed Hilles and Mohammed Karaja from Palestine. Then the audience could enjoy listening to the poem in English language with musical accompaniment. Farheen Shafiq, the reciter, is from India, Fouz Alsameh and Maher Najjar, the musicians, come from Syria. They played on their traditional Syrian musical instrument, the udh.